This imaginative, handcrafted table features two small chairs that can easily be placed under the table. The combination of the chairs and the table are a prefect destination for a coffee or tea with a friend. 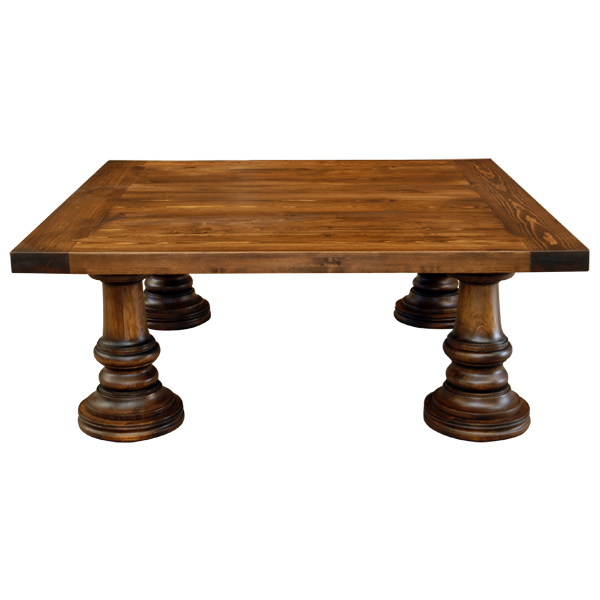 The table has a solid wood, square top with a classic, straight top rim. 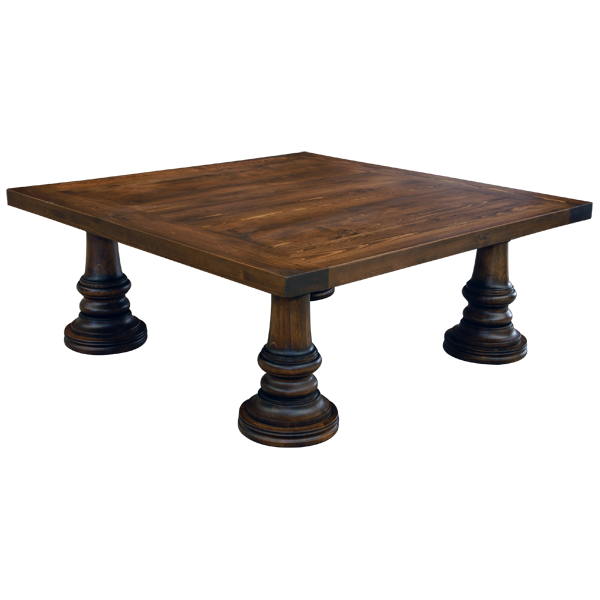 The top rest on robust, hand turned legs that end in impressive, large, hand turned feet. Each chair has a padded seat, and the seat is covered in rich, full grain leather. The seat rest on beautiful, hand turned legs, and the legs end in tapered feet. The table can be purchased with or without the chairs. 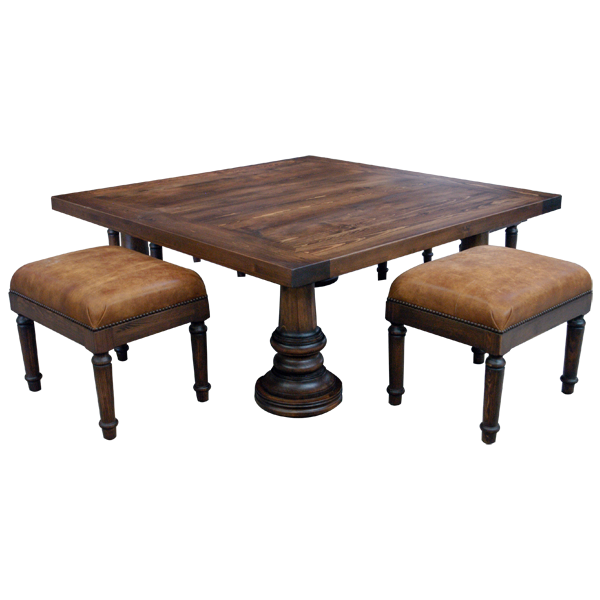 The table and chairs have an opulent finish, and they are made with the best, sustainable, solid wood available. 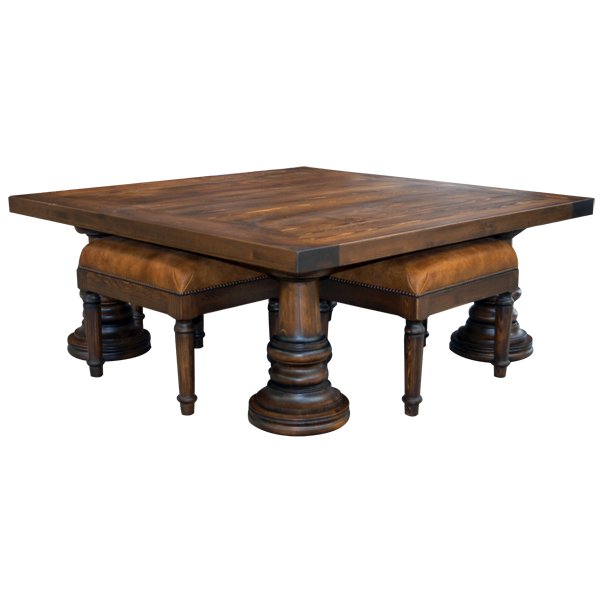 The table and chairs are 100% customizable.